THE BEST SOLUTIONS COME OUT OF THE DEEPEST INSIGHTS INTO HUMAN BEHAVIOR. Design sprints, a method pioneered by Google Ventures, is a method for creatively solving complex problems in a short period of time. Sprints pull together a team of local thinkers and give them the structure and space to generate ideas, fail quickly, and validate solutions that work. 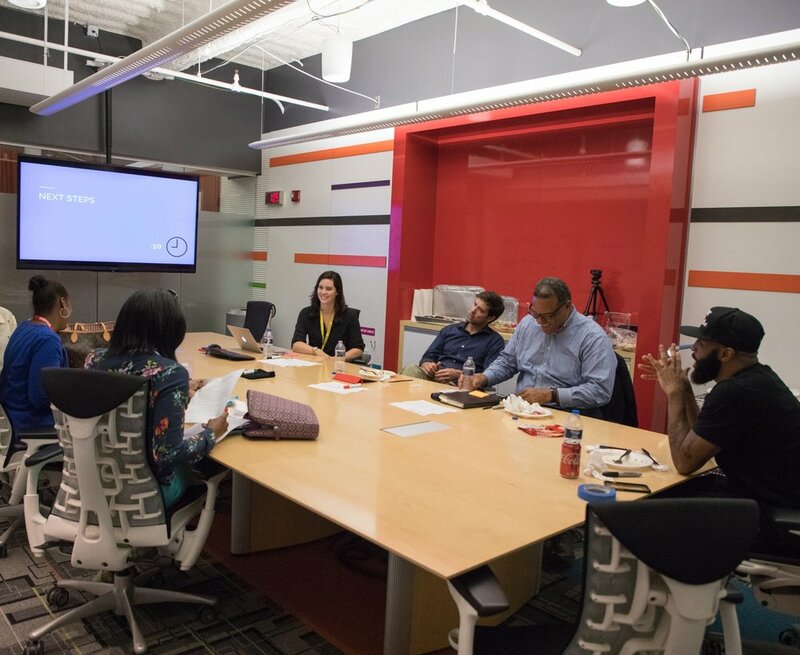 Before investing in infrastructure, major programs, or even policy changes, engaging in a design sprint can save months of work, planning, and investment by shortcutting and arriving at a proven solution in just one week. From trash pickup to risk management, every process tells a story. Prototyping is a way to bring that story to life and generate ideas for how provide a customer experience that simply works. Prototypes can come in the form of storyboards, mockups, role plays, or models. The main idea is to bring concepts to life, enough to solicit feedback from users. Cities Reimagined facilitates prototyping workshops to empower public servants with the skills to bring their ideas to life. Every human wants an efficient and meaningful experience when they interact with government. Whether it is getting a drivers license or permitting new construction, these systems can be incredibly complex and frustrating. Cities Reimagined are experts in observing a user’s journey, finding paint points, and developing insights for creating a better process. Try out a sample of our process to get a feel FOR what we can accomplish together. Try using this canvas in your next project meeting and see what insights you discover.